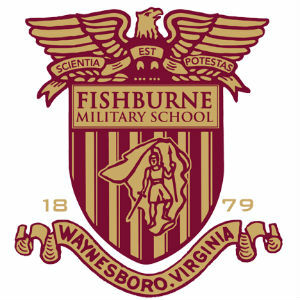 Sixty-nine Summer Session Cadets have successfully completed the-week summer program at Fishburne Military School. The Summer Session at FMS focuses on academic success and includes signature facets such as time-management development, building personal confidence and teamwork within a dynamic and diverse environment. Thirty-seven of the Summer Cadets completing the program today were first-time students at FMS and required to complete school’s “RAT” training program. “RATs” at FMS are “Recruits at Training” who must learn things such as the school’s honor code, school rules, school songs and school history while learning the basics of life within an Army JROTC Battalion. Those completing their “RAT” status will be recognized during today’s Summer Commencement ceremony and will have their red, “RAT” nametags replaced with the black nametags worn by Fishburne Cadets. Most of the young men will have their “old man” nametag pinned in place by their mothers or close relations. At this point, the new cadets are officially welcomed as full-fledged members of the Fishburne Military School Corps of Cadets.